Here at Auto Mate Systems Ltd, we are delighted to announce that we were recently approved for Constructionline’s Gold award for 2018. 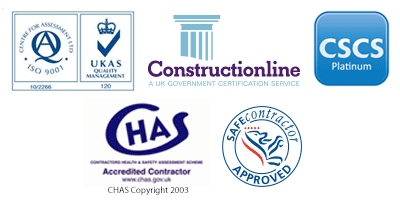 Constructionline approved our works and documents which include quality management, environmental management, equal opportunity rules and modern slavery rules as well as verifying all PAS91 data. This is coupled with a relevant SSIP Health & Safety Accreditation. We strive to provide the best quality and standard of work at Auto Mate Systems, so to be awarded the Gold standard is something we annually aim to achieve and are proud to boast about!